Nimble's 165 gram handcycle hub is ultra light and precise. It has a high-tolerance machined aircraft alloy shell body. The 2 bearing transport system uses precision sealed deep groove cartridge style bearings for great rolling resistance, low maintenance and durability. 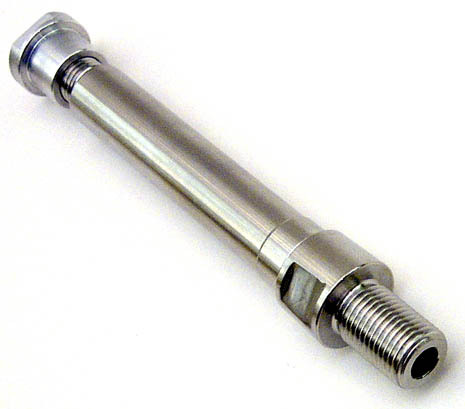 The hollow 316 stainless steel axle is over-sized and stiff. The axle is made fits a 1/2 inch 20 TPI threaded bike mount. 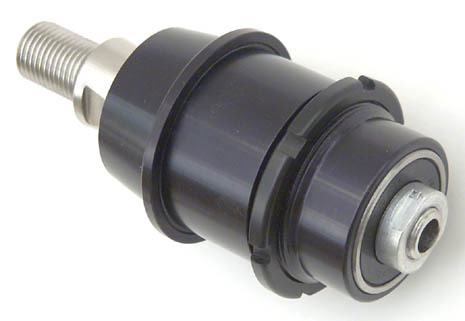 An alloy lockring holds the CROSSWIND wheelbody to the hub (see lockring tool). 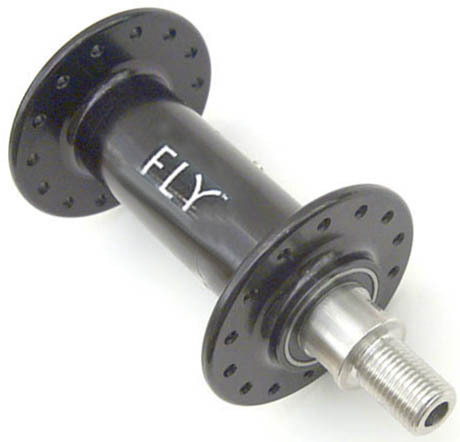 Also see FLY and Spider handcycle wire wheel hub below. Nimble's 228 gram wire spoke wheel handcycle hub is ultra light, stout and precise. It has a forged aircraft alloy shell body. The 2 bearing transport system uses precision sealed cartridge style bearings for great rolling resistance, low maintenance and durability. The hollow 316 stainless steel axle is stiffest handcycle mount available with a center diameter of 15 mm, more than 40% stiffer than a 1/2 inch design. 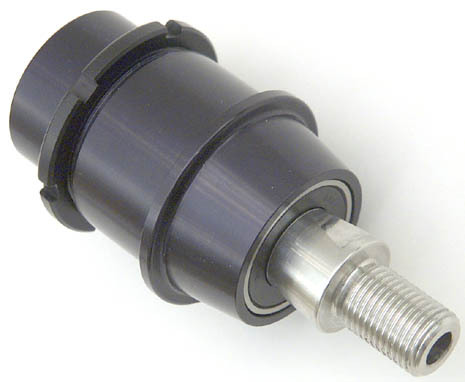 The axle fits a 1/2 inch 20 TPI threaded bike mount. Also see FLY, FLY Color and Spider. Also see CROSSWIND handcycle hub above.